Woodland Park Zoo Blog: Hello, Carson! 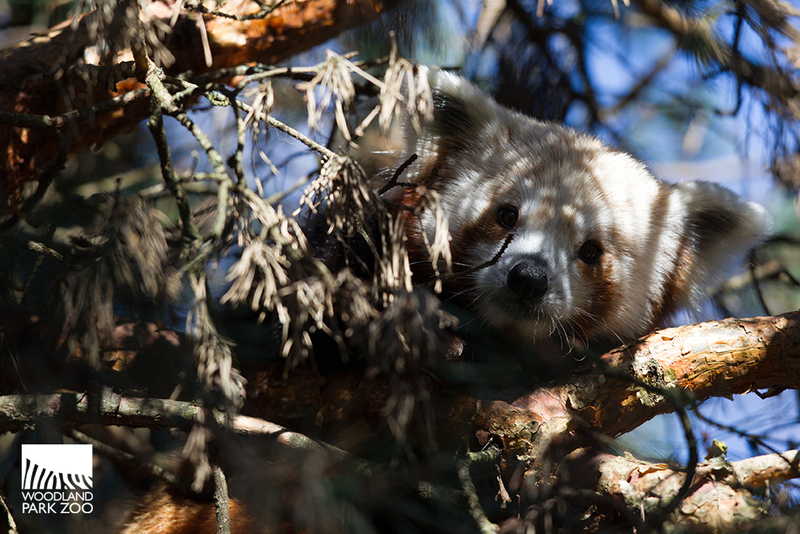 If you’ve wandered through the Wildlife Survival Zone in the last week, you may have noticed an adorable new face peering out from atop his pine tree perch. Our newest member of the red panda family has been spotted chasing squirrels, eating pine cones and playfully exploring his new digs. 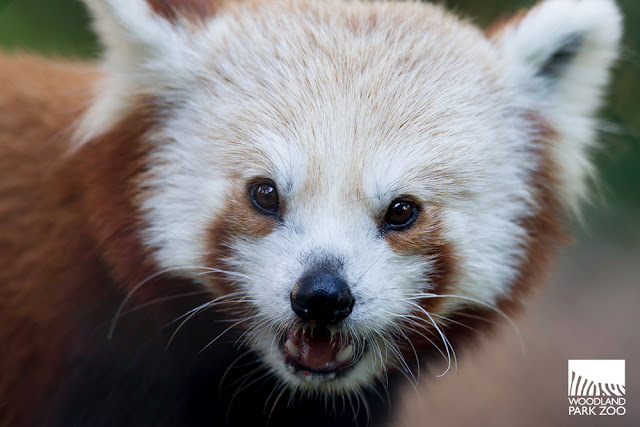 Meet Carson, a 2-year-old, male red panda. Carson was born at Lincoln Children’s Zoo in July 2014 and was named after the famous television host Johnny Carson, who shares the panda’s birth city. Carson arrived at Woodland Park Zoo this February and has been collecting a host of fans ever since. This handsome red panda has a unique look; a paler face, lighter coat and slightly smaller physical features. Carson is a fulgens subspecies of red panda, so he is easy to tell apart from our other two pandas, Yukiko and Stellar. 10-year-old male, Yukiko, and 8-year-old female, Stellar are hanging out off exhibit where the two can spend time together through the breeding season and beyond. 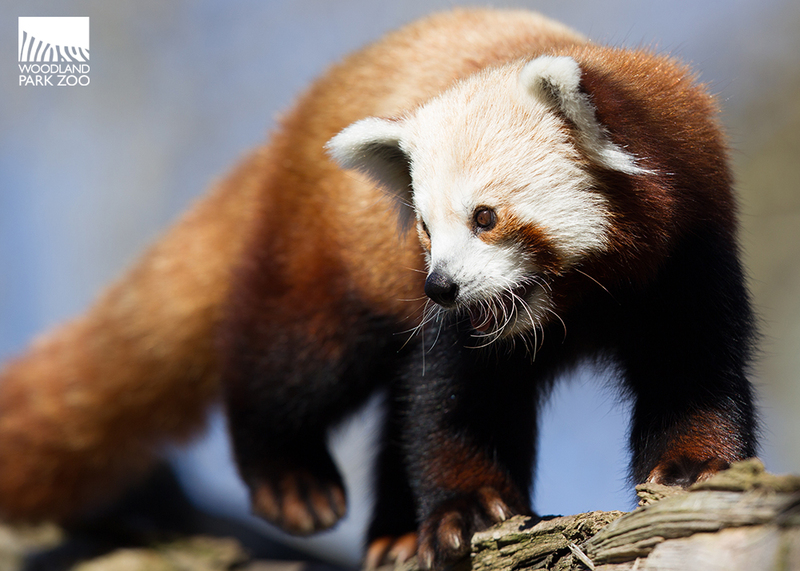 The zoo hopes for a baby red panda in the near future. Carson, like all red pandas, has a fiery red coat and a thick, bushy tail. His paws are built for climbing and scrambling up to the highest lookouts on the pine trees. Being an energetic youngster, you’ll see him patrol from the treetops down to the grassy ground and then right back up again. In the wild, red pandas are primarily solitary creatures, and spend a lot of their time patrolling the perimeter of their territory. All of our red pandas are fed leaf-eater biscuits, bamboo, and various fruits and berries, but Carson has a special palate for plants that he finds in his exhibit such as pine cones, grass and salal (a native northwest treat). 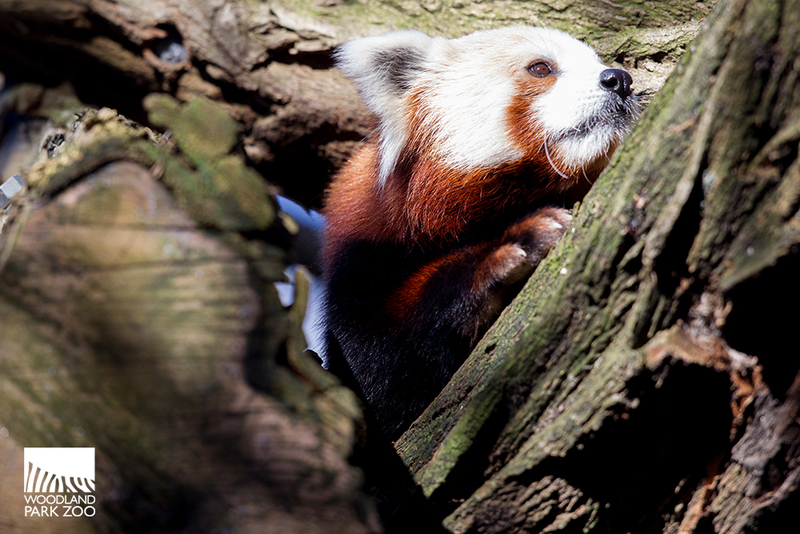 In the wild, red pandas forage for bamboo shoots, leaves, grasses, roots, fruits, lichens and acorns. They occasionally eat insects, eggs, young birds and small rodents. This thrilling footage shows Carson snacking on a breakfast of fruit, prepared and delivered by keeper Amy Davis. Whether it is his curious temperament, playful antics or simply his adorable face, Carson is sure to become a popular ambassador for his wild counterparts. The plight of this vulnerable species is an issue that needs your support. 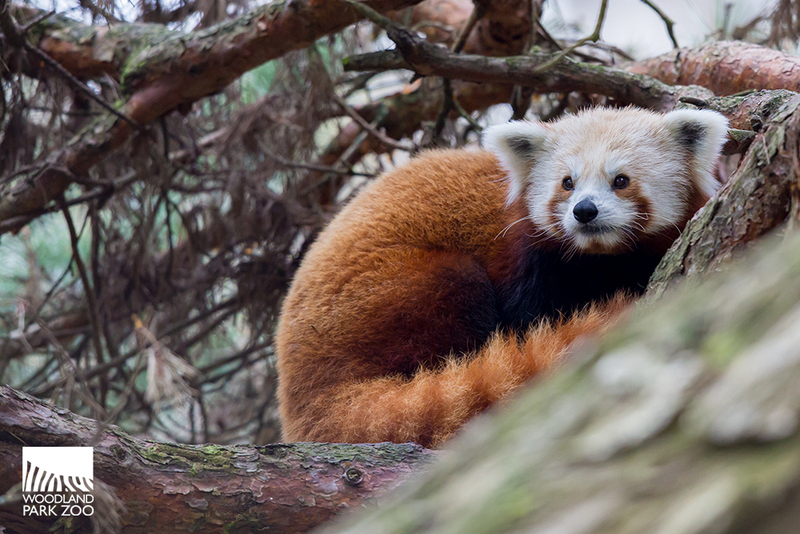 In the wild, fewer than 10,000 red pandas remain in their native habitat of bamboo forests in China, the Himalayas and Myanmar. Their numbers are declining due to deforestation, increased agriculture and cattle grazing, as well as urban sprawl. Woodland Park Zoo supports the Red Panda Network working to conserve this flagship species in Nepal. 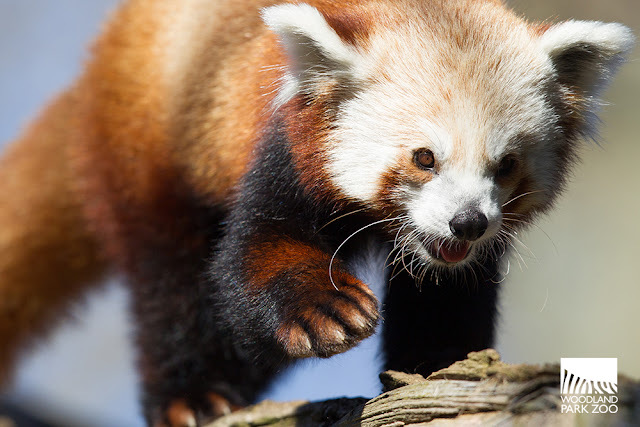 To help support the project and celebrate Carson’s arrival, you can adopt a red panda by becoming a ZooParent. You can visit Carson in the Wildlife Survival Zone (between the flamingos and the maned wolves). The best times to view Carson are early in the day while he is enjoying breakfast and later in the afternoon when he is most active. Though he is young and full of energy, he is likely to be napping during the middle parts of the day, especially in the summer. If you can’t easily spot him, look up! Such a terrible shame that these beautiful creatures are being wiped off the face of the earth. Hopefully we can all help their plight in some small way.